Today, in the competitive carwash environment, success depends on providing superior service and at the lowest possible cost. 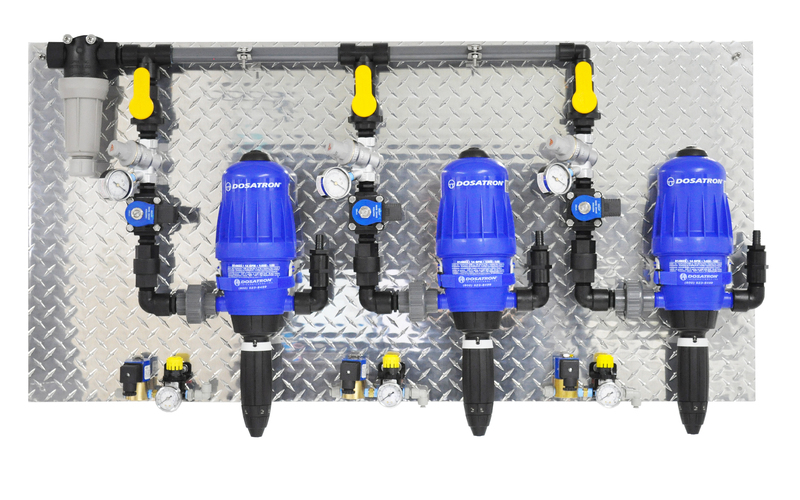 The complete line of Dosatron chemical injectors for the vehicle wash, allows you to save time and money, while providing your customers with the best results. Dosatrons are easy to install and maintain, which means less time worrying about your equipment and more time to focus on your business. Click here to view photos of Dosatron installations in the field. Dosatron also offers Custom Panel Installations that can help organize your equipment room to help minimize chemical leaks and maintenance costs. The space-saving designs eliminate the need for stock tanks and air pumps. Using fewer pieces of equipment means fewer problems and more usable area in your supply room. We also offer the Bucket Stacker which adds floor space in your chemical room! Click here to learn more. Unlike venturi systems, Dosatrons have no orifices to block or replace. 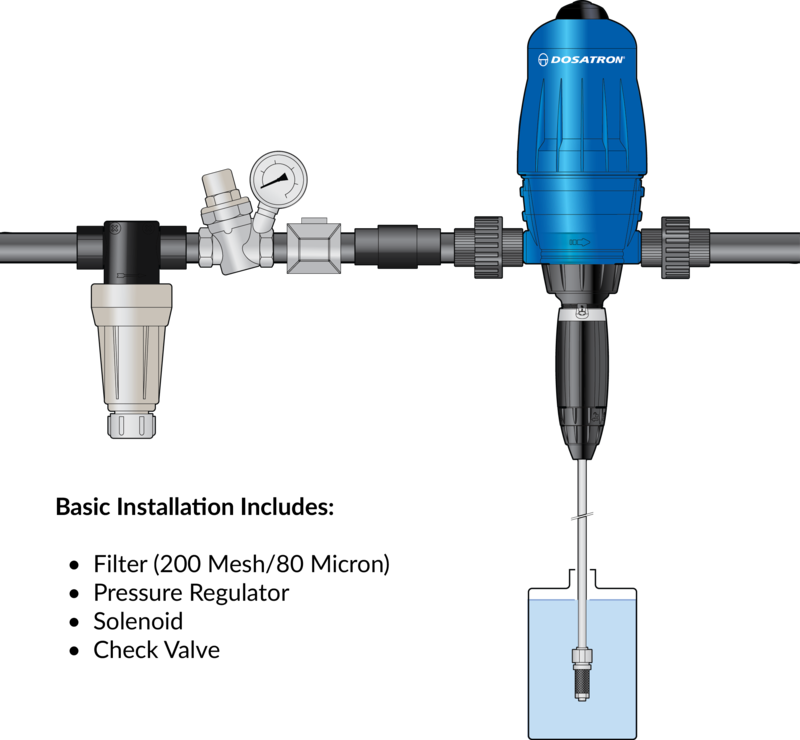 Installation is simple, and our external adjustment stems allow you to fine-tune your chemical dilution rate on the fly for optimal results. And since they require no electricity to operate, Dosatron chemical dispensers can also help reduce your car wash’s environmental impact for a greener operation. Dosatron chemical dispensers are the perfect solution for vehicle washes of all types and sizes, from self-serve, tunnel and in-bay automatic car washes, to truck, bus, train and aircraft washes.
. . . features dilution ratios of 500:1 to 50:1.
. . . features dilution ratios of 200:1 to 20:1.
. . . features dilution ratios of 100:1 to 10:1.